The Ghostbusters are gone, spirited away by some dastardly demons from another dimension! But spectral shenanigans haven't ceased in the city that never sleeps, meaning a new group will need to step up and don the proton packs. Will the New Ghostbusters be able to rescue their predecessors, or will they share the same fate? 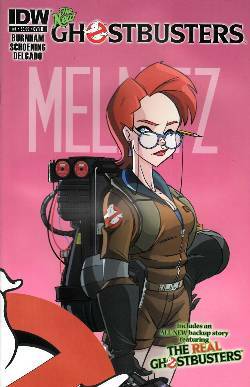 The Ghostbusters creative super-team of Erik Burnham and Dan Schoening return to bust out more ectoplasmic excitement in this all-new Ghostbusters ongoing volume!